Plano Orthopedic Sports Medicine & Spine Center is a full-service medical facility specializing in the evaluation and treatment of orthopedic injuries. Each of our 12 physicians focus on or is fellowship trained in knee, shoulder, sports medicine, foot, ankle, hand, wrist, neck, back, spine, joint replacement and physical medicine and rehabilitation. Join Atria Canyon Creek for a presentation by Dr. J Richard Evanson, orthopedic surgeon at Plano Orthopedic Sports Medicine and Spine Center. He'll discuss the importance of joint health, offering tips to keep your hips and knees protected. Thursday, May 2 at 2 P.M.
Click for information regarding your next visit with POSMC. Click here to schedule or request your next POSMC appointment. 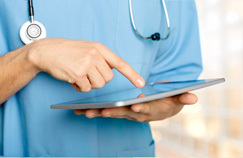 Find out why POSMC is the right orthopedic group for you. Hear our patients stories. Stay up to date about all things POSMC. 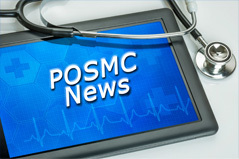 Health News, POSMC Information and more. Plano Orthopedic Sports Medicine & Spine Center is a full-service medical facility specializing in the evaluation and treatment of orthopedic injuries. 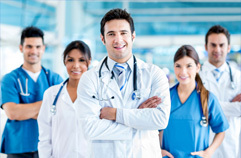 Each of our 12 physicians focus on or is fellowship trained in knee, shoulder, sports medicine, foot, ankle, hand, wrist, neck, back, spine, joint replacement and physical medicine and rehabilitation. Plano Orthopedic has been servicing the Dallas-Fort Worth area for more than 40 years, providing orthopedic care for residents of Plano, Frisco, Allen, McKinney, Richardson, Carrollton, The Colony, Dallas, Irving and surrounding communities. The goal of Plano Orthopedics is to provide the highest quality medical care and the best possible individualized attention to patients of all ages. 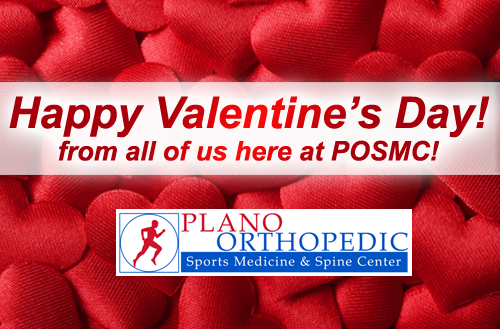 Simply put, Plano Orthopedics strives for excellence in healthcare service and patient outcomes. We feel the overall patient experience is extremely important as we provide excellent care, service and outcomes to the patients who put their trust in us. 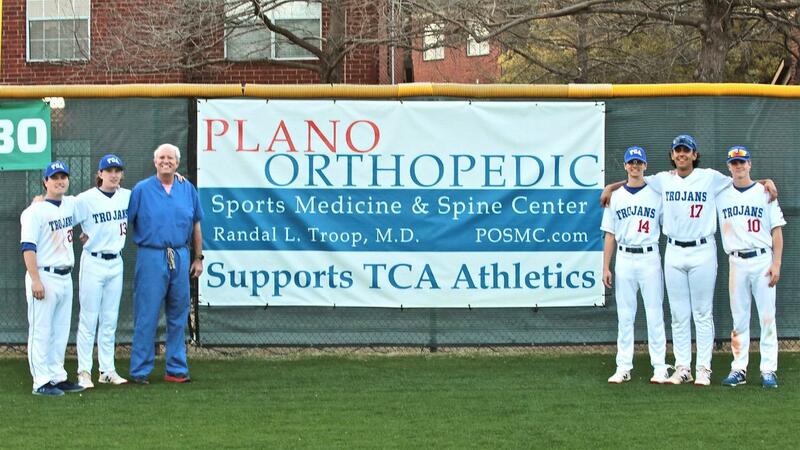 The doctors at Plano Orthopedic Sports Medicine & Spine Center have been recognized as Best Doctors in Dallas and Collin County D Magazine and Super Doctors in Texas Monthly by their peers since 2003. Awesome Experience and staff. They all care about getting back to a normal life whether playing sports or just living life in normal and pain free ways. They really take time to care for you as a person physically and mentally after an injury and of course surgery. I have had surgery with both Dr. Crates and Dr. Evanson (ankle and hip) ,and have been overwhelmingly impressed by both doctors and the practice. They have spent the time needed with me, and have been very thorough and clear with their surgery protocol. Their staff is great, and they have been great to work with I highly recommend the practice. 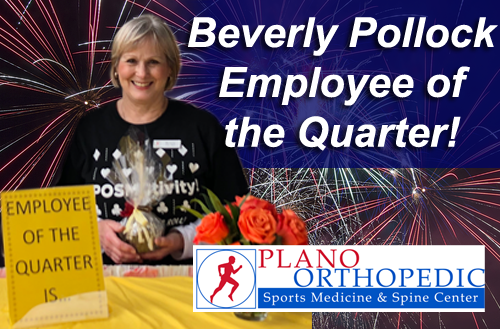 POSMC appreciates Beverly Pollock, Employee of the Quarter! We want to celebrate our Employees Anniversaries. Thank you for your dedication and service!